MLA : Blogs : Kerker, Ann E.
Ann Kerker was Purdue University's first veterinary medical librarian, a position she held from 1959-77. Within the Medical Library Association, she was a self-acknowledged meeting goer, President from 1976-77, and Interim Executive Director from 1981-82. She was very proud of what she considered her grandmother role with the veterinary medicine section. She, and her co-author, Henry T. Murphy, won the American Library Association's Oberly Award in 1975 for Comparative and Veterinary Medicine: Guide to the Resource Literature. 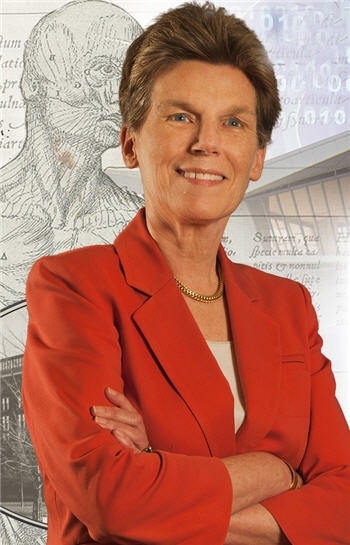 After retiring, Ann held acting appointments within the Purdue University library and was a fund raiser for it, and she served as a library consultant in Brazil. 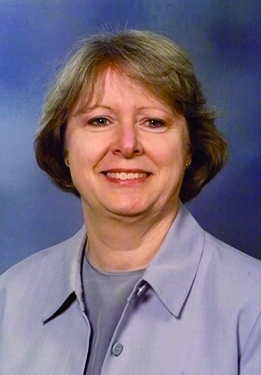 Ann came to librarianship after a successful career as a medical technologist. In her twenty-two years in that profession, she had overseas assignments in South America, Saudi Arabia, and Aruba with the Standard Oil Company. For personal reasons, she returned to West Lafayette, where she was raised and attended college. Ann found employment at the Life Science Library at Purdue and was encouraged to obtain her master's degree at the University of Illinois. "I did my graduate work in three summers, and then one year I commuted. Eighty miles. So I was mighty tired by the time I had my degree." She chose Illinois over Indiana because Illinois had the stronger science program and had approved courses under the Medical Library Association certification program. She recalled being part of a class that did a practicum of one week at the University of Illinois Medical School library in Chicago. When Ann and the first entering class of veterinary students arrived at Purdue in 1959, there was no building to house the library. She worked out of the life science library developing the collection and promoting the library. The new building, designed for 10,000 volumes, was ready a year later. Ann was so successful at collection development she outgrew it within eight years. One of her endeavors shortly before retirement was to establish the Information Service for Veterinarians in Indiana with funding from the National Library of Medicine. "We sent every veterinarian in the state of Indiana a card explaining the service and giving a telephone number to call, and they could call at any time of the day or night, because it would be recorded and answered. And if it was a reference type question, Judy was the gal who was the searcher. She had access, of course, to all the faculty. If it was a large animal question that she couldn't answer, she'd go to someone down in large animal clinic and say, 'What can I tell Dr. so and so from Tipton about this condition?' Also she provided general bibliographies on topics of interest -- whether it was hog cholera or rabies or anything that was particularly important within the state at a given time..." Although the service was well utilized by the veterinarians, attempts to put in on a fee basis after the grant expired failed. 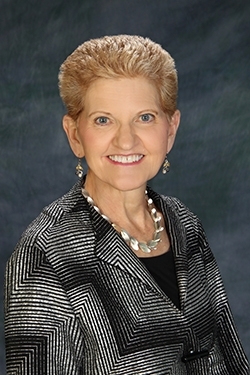 Ann had the unique situation of serving the Medical Library Association as its president and executive director. She recalled that her presidency coincided with a 25% increase in membership and activities centered on hospital library standards, legislation, the certification exam, and the oral history program. Ann's dedication to the Medical Library Association is evident in her offer to assist when Shirley Echelman resigned as Executive Director. As Interim Executive Director, she found herself working more closely with the staff at headquarters and was involved with the business aspects of the association - accounting and property investigation. At the close of the interview, Ann considers changes she might have made in her life. "My second career, from the viewpoint of professional growth, from financial considerations and whatnot, was much more successful than my first except for the foreign service involvement, which was a great result of my first profession. But had I elected to go the graduate school route of microbiology or biochemistry, unless I'd gone through a doctorate, I feel confident that I would never have gotten to the place in the academic world that I did going through the library route."